Today (19 July) global analytics technology company, Media iQ, has announced a significant investment round from private equity firm ECI Partners, for an undisclosed sum. The deal will see ECI take a minority stake in Media iQ to drive accelerated growth across the company’s three core areas of focus: commercial, product, and people. ExchangeWire spoke exclusively with Media iQ co-founders, Gurman Hundal and Lee Puri about the announcement, why they felt this was the right move for their business, and what it would mean for Media iQ going forward. 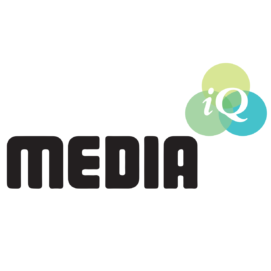 Media iQ has seen great success since it was founded in 2010 by Hundal and Puri. Ranked fourth in the Sunday Times HSBC International Track 200, as one of the fastest growing international companies in the UK, it now has 350 employees across 12 offices globally, including in the UK, US, India (where it houses its technology and IT teams), Canada, Australia, and Germany. It has also just launched in Singapore, with its first market hire starting this week. “We’re a self-funded business”, Hundal told ExchangeWire. “We’ve never taken investment since we started the business. We’ve taken it now to a really strong position, whereby we’re growing at a rate of over 100% per annum, especially with our Americas launch.” According to Hundal, the Media iQ business has been getting a lot of attention from the acquisition and investment community, but the co-founders initially paid little attention to the advances, because of the strength of their business. “We decided about a year ago to try to understand what options were available to us. The primary goal for us was to maintain control and look to grow this business over the next five years plus”, explained Hundal. Hundal and Puri were confident they have the right people and product in the right marketplace to scale their business to a level three-to-four times its current size, so they engaged technology investment bank, GP Bullhound in an advisory capacity. They were presented with three options: doing nothing, selling the business, or partnering with a private equity firm. The latter meant they could maintain control, whilst find a strategic partner to help scale the Media iQ business, in line with their ambitions. ECI Partners, the private equity firm they have partnered with, is a boutique investment firm specialising in investing in midsized growth businesses, particularly in the TMT (technology, media, telecommunications) sector. Hundal and Puri believe ECI to be the right fit for their business, stating that it feels like a natural extension of the Media iQ team. Hundal and Puri will maintain control of the board, with Tom Wrenn, head of TMT, ECI Partners, joining as a board member. As a thriving enterprise service business, the partnership will, from a commercial perspective, help to deepen client engagement and build more longer-term partnerships with existing and new clients. As Hundal also explained, portfolio diversification has always been a strong business focus, both through cross-border and in-market expansion. They are aiming to have five offices across the US by the end of 2017, as well as exploring expansion in other global regions. “We’re looking at the Middle East as a potential region”, Puri revealed, “and a really exciting market for us to be looking at is India.” With Media iQ’s technology and IT functions housed in Bangalore, it makes sense for them to be exploring commercial opportunities in the world’s fastest-growing economy. People are Media iQ’s best business asset, according to Hundal, a claim backed up by the company’s 92% global retention rate. They will feature strongly in the business’ ambitious growth strategy: from continuing to recruit world-class talent, to a focus on learning and development, to take each one of their employees to the next levels in their careers – a strategy that Hundal and Puri recognise will take significant time and investment, but one to which they are absolutely committed.